Berries are almost the perfect home garden plant. They are relatively easy to grow, requiring little more than a patch of full sun and some well-drained soil. Most have perennial roots with shoots that are biennial. This means that the shoots (called “canes”) grow vegetatively in the first growing season, go through a dormant season, then leaf out, flower, fruit, and die during the second growing season. Raspberries and blackberries are the two most common bramble crops. Red, black, and purple raspberries are the three most commonly grown raspberry types. There are differences among them in growth habit, cultural practices, and disease problems. The blueberry plant is a perennial, consisting of a shallow root system and woody canes that originate from the crown of the plant. The root system is very fibrous but devoid of root hairs. (Root hairs in most plants function by increasing the surface area of the root for water and nutrient uptake.) This characteristic makes the blueberry plant very sensitive to changing soil water conditions. 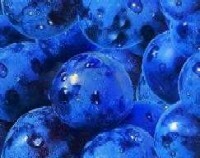 A mature cultivated blueberry usually has 15 to 18 canes. Its growth habit varies among cultivars, with some bushes growing very upright and others having a more spreading growth habit. The fruit is borne on buds that are formed the previous growing season. Currants and gooseberries are shrubby bush fruits and grow to 5 to 7 ft. tall. They can grow on many soil types, but require moist soil. The fruit is too tart to be eaten out of hand and must be cooked for use in pies, jams, and preserves. Both species serve as alternative hosts for white pine blister rust, a disease that attacks five-needle pines, such as sugar and various white pines. For this reason, planting these berries was illegal until 1966, when it was determined that many wild Ribes species also serve as alternate hosts. If you have white or five-needle pines, do not plant these berries. This is a long article - so if you just want to cut to the chase, check out the OGG Berry Shortlist of best varieties and summary of caring for them. Three main types of raspberries are grown in North America: red, purple and black. They differ in ways other than fruit color. Red raspberries have erect canes and are propagated by suckers. Black raspberries have arched canes that root at the tips. Purple raspberries are hybrids of red and black varieties. Blackberries are further subdivided into separate varieties including boysenberries, ollalieberries, loganberries and youngberries. Boysenberries are reddish black with an aroma and flavor similar to raspberries. Ollalieberries are slightly longer and more slender than the boysenberry and are a cross between black, logan and youngberries. Popular varieties to grow include: Berkeley, Bluecrop, Bluehaven, Blueray, Bluetta, Collins, Coville, Earliblue, Elliott, Elizabeth, Jersey, Lateblue, Patriot, Rubel, and Spartan. Good red currant varieties include 'Cherry', 'Consort', 'Crandall Black', 'Red Lake', and 'Wilder'. Good white currant varieties are White Grape and White Imperial. Gooseberries ripen in early summer (earlier than currants). Good varieties are Pixwell, Downing and Poorman. Gooseberries will generally tolerate more shade than any other kind of berry. Dig a hole twice the size of the root ball and a proper depth that is level or slightly lower than the soil surface. Add organic matter (peat moss or humus) to the soil and mix thoroughly. The amount of organic matter should equal 1/2 the volume of the soil. Place the plant into the hole making sure that the hole has the proper width and depth. Begin to back fill the hole halfway. Make sure that the plant is straight before too much soil is in the hole. Tamp the soil around the root ball. Repeat the procedure of filling and tamping until the hole has been filled. Give the plant a good initial watering and every 3-5 days after planting. Top dress with shredded bark (2" deep) and fertilizer (1/2 lb. per year since planting, starting with the second season) is advisable. Raspberries grow best in cool climates, and tolerate a wide range of soil types from sandy loam to clay. The most important requirement for the berries is that the soil be deep so that the roots are not restricted. Raspberries should not be planted in an area following the cultivation of tomatoes, eggplant or potatoes. Diseases that affect these plants may remain in the soil and damage the berries. Plants can be grown in hills or in rows. Red raspberry plants should be set 2 to 3 feet apart if planted in rows. Before planting, cut the tops of the plants back to six inches. Set the plants into the hole so they are 2 to 3 inches deeper than they were in the nursery. Water after transplanting. Blackberries do best in deep well drained soils such as sandy loams and loamy sands. They should be planted in January or February but definitely by April 1. Planting them on raised beds is not recommended; they will easily dry out if this is done. Space the plants 3.5 feet' apart in rows. Space the rows 8 feet apart. The biggest problem growers have is placing the plants too deep. Plant them at the same depth they were growing before transplanting. Water after transplanting. To get maximum yields from raspberries, apply fertilizer every year in the early spring just as new growth begins. Manure works well as does a commercial 5-10-5 fertilizer. Apply this as a top dressing at the rate of 8 ounces per plant, or spread in a wide band no closer than about 6 inches from the crown around each hill. Blackberries require only nitrogen as fertilizer. Up to four ounces of actual nitrogen per year is required per plant. Apply half of this before growth starts in spring, and the other half after pruning. You can also provide a small sprinkle around the plants every few weeks in between these major feedings, and water in well. A blueberry planting should be planned at least a year in advance. The soil should be tested and sulfur and phosphorus applied (if needed) during the fall prior to planting. Most soils will require considerable amendment with organic matter if plants are to thrive. Sawdust or peat moss also should be worked into the planting hole, replacing about one-half of the original soil with the organic material. After watering in and applying the fertilizer, mulch the plants heavily along the length of the row with about 4 inches of rotted sawdust or other organic matter. Immediately after planting, prune back 50 to 60 percent of the wood. Remove the flowers from two-year-old plants completely, so the plant will become well established. Sacrificing this small amount of fruit will help establishing a planting that will fruit for 50 years or more if well maintained. In fall or early spring, plant well-rooted 1- or 2-year-old dormant plants, cutting back the top portions of the plant to 6 to 10 inches. Space plants 3 to 4 feet apart in rows 6 to 8 feet apart. Note that plants can be vegetatively propagated by stem cuttings. Remove flower blossoms from plants in the first year to encourage plant establishment and growth for future years. Well-established plants can fruit for 10 to 15 years or more. To fertilize, apply 6 to 8 ounces of 10-10-10 annually in an 18-inch ring around the plant in early spring.